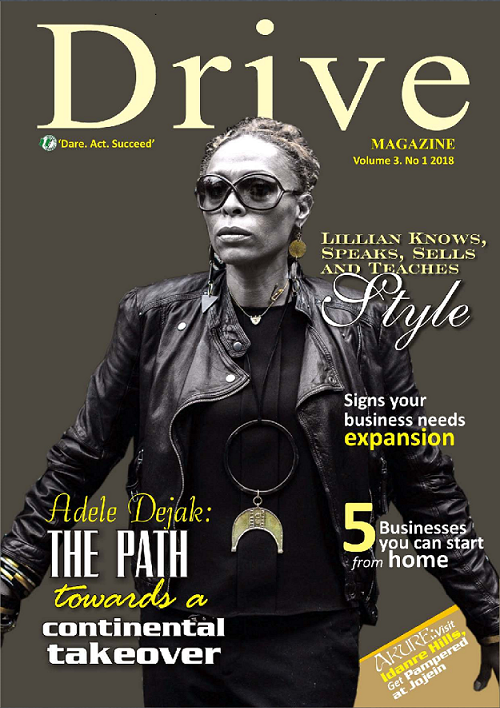 Zayzee Writes: Innovation: April Edition of Drive Magazine is Live! Innovation: April Edition of Drive Magazine is Live! It seems just like yesterday when we were screaming Happy New Year. But here we are in the fourth month of the year. Can you take out your goals for the year and honestly tell yourself the truth? By the end of 2018, are you sure you will achieve your 2018 goals? What roles did January, February and March have to play in the achievement of your goals? Did the past three months bring you your desires? If they didn’t, there is a possibility you wouldn’t be achieving all your goals for 2018. But it doesn’t matter. You might not get it 100% but you can still get it above 50% if you really get into those plans right now. What this means is for you to tackle it differently to cross that finish line. Innovation can be defined in many ways but it comes down to one thing, doing things in a different ways to achieve results as well as meeting needs. And that is what this edition is all about. 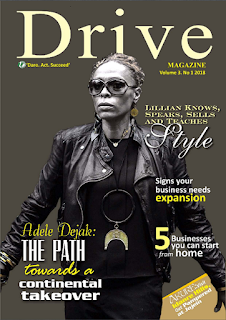 Our cover girl, Adele Dejak, is an inspiration whose business today is successful for the creation of jewelry and fashion accessories. And she had to do it because she couldn’t find what meets her fancy. Now, her innovative creations are meeting the needs of lots of women around the world. Also, the work of Lillian Oparaji, tickles me. It is more than being fashionable and knowing how to combine fashion items. It is the thought of teaching others to achieve it that is commendable. It goes to show that there are a lot of areas in our lives we are yet to tap into. That passion we have can change everything if we feed it the right way. Also in this edition, read about businesses to do from your home as well as signs your business is growing. Read our thought provoking and motivating columns ‘Mancave’, ‘Your Money’ and ‘Dairy of an Unemployed Youth’. Don’t forget, the fact that you are an entrepreneur does not mean you cannot take time out to rest. Thankfully, our travel page has just the right vacation suggestion for you. Keep up to date with us on our social media pages and connect. 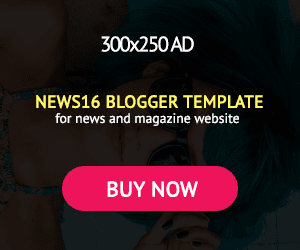 Subscribe to our newsletters at www.zayzeewrites.com and be the first to receive our new issues and other exciting news in your mailbox. I dare you to dare, act and succeed!